Which sports will Team India compete in on Day two of the Rio Olympics? Day two of the Rio Olympics 2016 will have several Indians in action across nine events and four sports. Sunday will see India complete in women's hockey, women's gymnastics, women's 10m air pistol, men's trap and the women's team archery event. File photo of the Indian women's hockey team. Getty Images. How many Indians will be in action in these sports? Four Indian athletes and two teams will feature on day two. 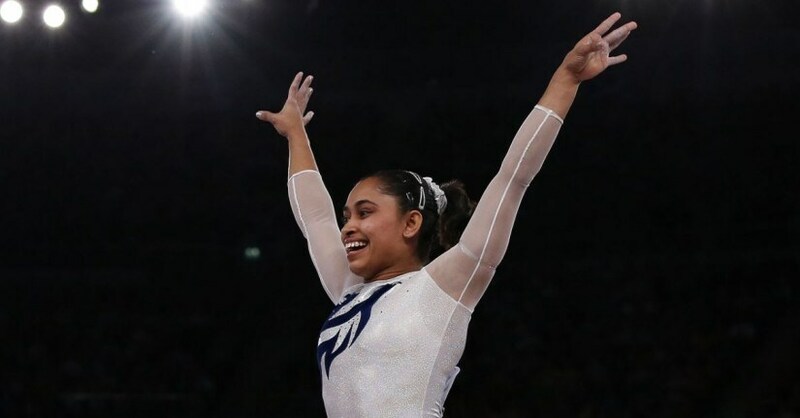 Dipa Karmakar, India's first woman gymnast at the Olympics, will be someone to watch out for. 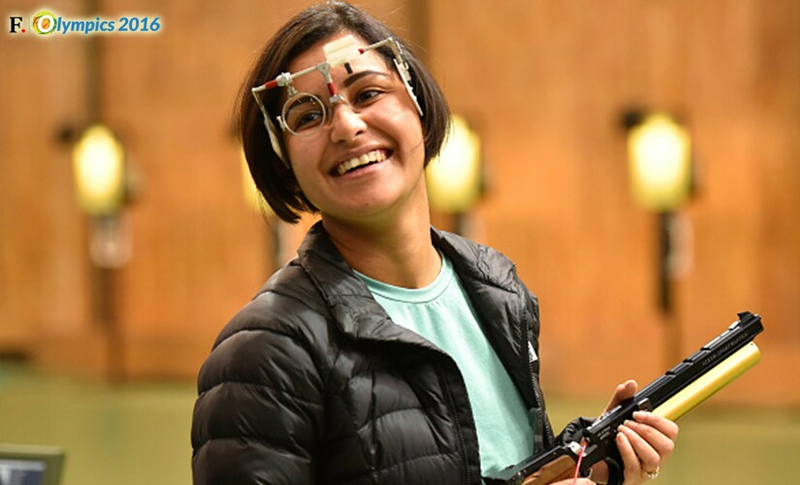 But the bigger medal hope will be in shooting, where former world number one Heena Sidhu will take the range in 10m air pistol and veteran shooter Manavjit Singh Sandhu and Kynan Chenai will take part in men's trap. 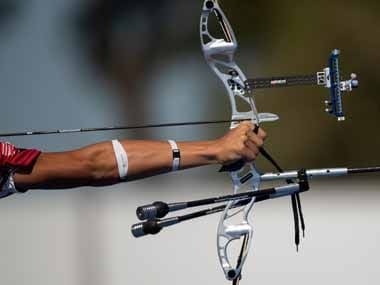 In archery, the women's team of Deepika Kumari, Bombayla Devi and Laxmirani Majhi will all be in action against Colombia in the round-of-16. 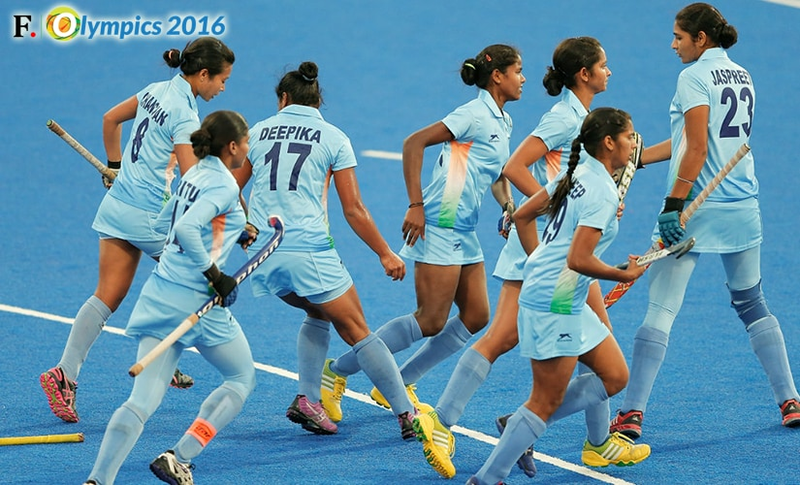 The Indian women's hockey team will also take the field and face Japan. Shooting: The women's 10m air pistol qualification will start at 5.30 pm. This will be followed by men's trap qualification at 6.00 pm. Gymnastics: The gymnastics event will start from 6.15 pm, including qualification events for women's uneven bars, women's floor exercises, women's beam, women's vault and women's individual all. 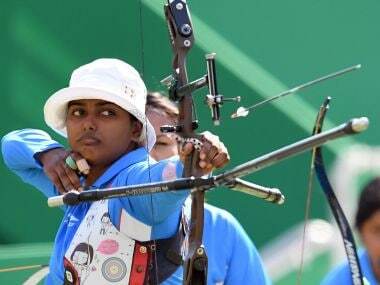 Archery: The India vs Colombia match in the women's team round-of-16 will begin at 6.45 pm. 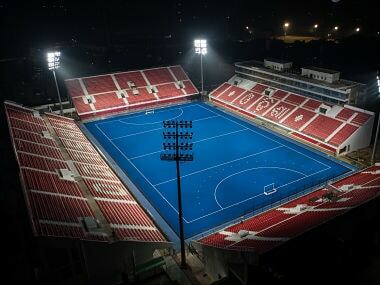 Hockey: The women's hockey pool game will begin at 7.30, where India will play japan in their opening game. What are the India's medal prospects? All eyes will be on Karmakar as she attempts the daring Produnova vault. The Produnova — a handspring double-front somersault — has the highest degree of difficultly for a women's vault, a 7.0, and only five people have attempted this in the competition. It's so dangerous some want it banned because of the potentially life-threatening injuries if a gymnast over-rotates and lands on their neck. But Karmakar, who won a bronze medal at the Glasgow 2014 Commonwealth Games after landing the Produnova in her vault final, is determined. If she manages to do this perfectly, she can be a genuine medal contender. In shooting, veterans Heena Sidhu and Manavjit Singh Sandhu will be the players to watch out for. Heena is currently one of the best pistol shooters, not just in India, but in the world. She holds the finals world record in 10m air pistol with a final score of 203.8 and became the first female Indian pistol shooter to be ranked world number one by the International Shooting Sport Federation (ISSF) in 2014. Owing to her performances since the last Olympics, one would expect to see her in the top eight in the 10m air pistol event, qualifying for the final and contesting for a medal. Manavjit, meanwhile, is a veteran shooter and a former world number one who has won at every major tournament, except the Olympics. 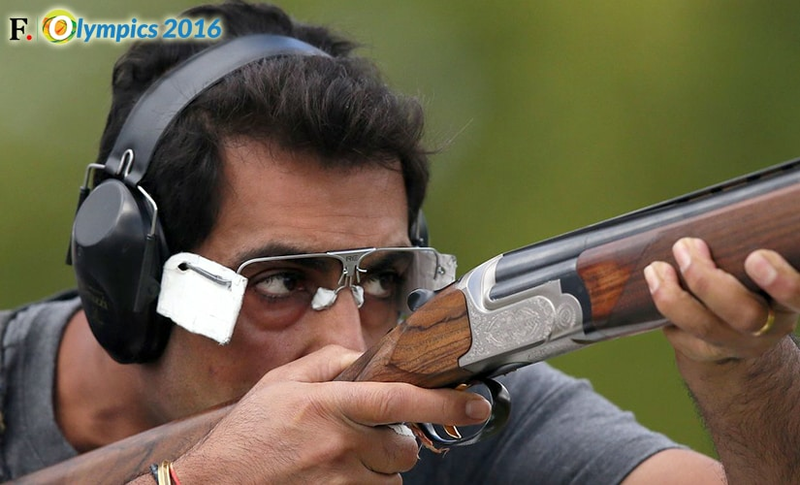 He has gold medals at the ISSF World Cup and the Commonwealth Games as well, and is a world shooting champion, and he will be keen to add the all-important Olympic medal to his illustrious trophy cabinet. And with his ability and vast experience, the expectation of a medal is a genuine one. In addition, the women's archery team could also spring a surprise. 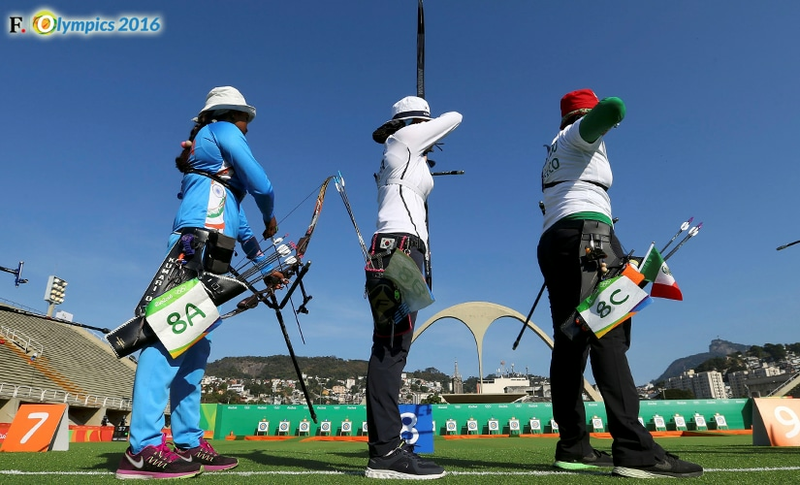 The trio of Deepika Kumari, Bombayla Devi and Laxmirani Majhi take on Columbia in the round-of-16 and have a good chance of registering a win after finishing seventh in qualification. There are big expectations from the women's hockey team as well, as they play Japan in the opener. Led by Sushila Chanu, India will be playing an Olympic match after in 36 years, and will take on higher-ranked Japan. How do I show my support for Team India? Make sure to use the #IND hastag on Twitter. Get all your updates about team India using the general #Rio2016 hashtag. The Twitter accounts @Olympics, @Rio2016 and @Rio2016_en will also give you regular updates. The hashtags #shooting, #gymnastics and #hockey will also give special mini icons on the Twitter network. Google has added updated its Search app to bring the latest updates from Rio Olympics 2016 to you as well! Find your favourite athletes on Facebook, Snapchat and Instagram to live Rio from the palm of you hands. Be sure to cheer for Team India!